Elul is the 6th month on the biblical calendar; it precedes the 7th month of Tishrei that contains the yamim noraim, the Awesome Days, we often refer to as the High Holy Days. Elul typically begins in August or September on the Gregorian calendar. In the year 2011, the 1st of Elul begins on the evening of August 30th. In Hebraic tradition, Elul begins the process of preparing ourselves for the coming yamim noraim (High Holy Days). While the traditions associated with Elul are not specified in the Bible, each custom has been carefully drawn from scripture to assist us in spiritual preparation for the upcoming Holy Days. The Word of G-d clearly admonishes us to be prepared for our coming King. Therefore, it can only profit us to use every tool at our disposal. Elul is called “the month of repentance,” “the month of mercy,” and “the month of forgiveness.” It follows the two previous months of Tammuz and Av, traditionally the months of the two great sins of Israel, the sin of the golden calf and the sin of the spies. There are exactly 40 days from Elul 1st until Yom HaKippurim (the Day of Atonement) in our yearly feast cycle. Tradition states that Moses’ first trip up to Mt. Sinai (Ex. 24:18) was on Shavuot (Pentecost) at the giving of the Ten Commandments. 40 days later, he smashes the tablets in response to the sin of the golden calf and then returns back up the mountain for an additional 40 days (Dt. 9:18,25) to plead for the lives of the Israelites on account of their sin. Moses returns a third time (Ex. 34: 28) for 40 days up the mountain to receive the second set of tablets on the 1st of Elul, returning on the 10th of Tishri, which is also Yom Kippur. During Moses’ third 40 day period on the mountain, he requested to see to see YHWH’s glory (Ex. 33:18-23). And mercifully, YHWH complied, but with the stipulation, “You cannot see my face”. It was during this encounter that YHWH proclaimed His divine characteristics unto Moses. (Ex. 34: 6-7). Our Jewish brothers have broken these into the 13 attributes listed below. 1. YHWH! –G-d is merciful even before a person sins. Even though He is aware that future evil lies dormant within him. 2. YHWH! –G-d is merciful even after the sinner has gone astray. 3. G-d (El)–a title that denotes power as ruler over nature and humankind, indicating that G-d’s mercy sometimes surpasses even the degree indicated by this name. 4. Compassionate (rahum)—G-d is filled with loving sympathy for human frailty and does not put people into situations of extreme temptation, and eases the punishment of the guilty. 5. Gracious (v’hanun)—G-d shows mercy even to those who do not deserve it; consoling the afflicted and raising up the oppressed. 6. Slow to anger (ereh apayim)—G-d gives the sinner ample time to reflect, improve, and repent. 7. Abundant in Kindness (v’rav hesed)—G-d is kind toward those who lack personal worth, providing more gifts and blessings than they deserve; if one’s personal behavior is evenly balanced between virtue and sin, G-d tips the scales of justice toward the good. 8. Truth (v’emet)—G-d never reneges on His word to reward those who serve Him. 9. Preserver of kindness for thousands of generations (notzeir hesed la-alafim)—G-d remembers the deeds of the righteous for the benefit of their less virtuous generations of offspring (thus we constantly invoke the merit of the Patriarchs). 10. Forgiver of iniquity (nosei avon)—G-d forgives intentional sin resulting from an evil disposition, as long as the sinner repents. 11. Forgiver of willful sin (pesha)—G-d allows even those who commit a sin with the malicious intent of rebelling against and angering Him the opportunity to repent. 12. Forgiver of error (v’hata’ah)—G-d forgives a sin committed out of carelessness, thoughtlessness, or apathy. 13. Who does NOT pardon (lo yenaḳeh )— This is considered a good quality, since through punishment man is moved to repentance, after which he is pardoned and pure. G-d is merciful, gracious, and forgiving, wiping away the sins of those who truly repent. Since Moses was given the revelation of YHWH’s glorious traits during the month of Elul which precedes the Day of Judgment and Atonement, it has been customary to incorporate the reciting of the 13 attributes during Elul. It is said that this is the month that “the King is in the field”, instead of His Royal Palace. Therefore, “everyone whosoever desires is permitted to meet him, and he receives them all with a cheerful countenance and shows a smiling face to them all.” Although G-d always watches over the world, and is always waiting for our “return,” He is more accessible during the 40-day period beginning with the start of Elul and culminating in the first ten days of the Month of Tishrei. Why? Because He is looking forward to the yearly appointments He has with us during the fall feasts. In order to come into His presence we must first turn (repent). He must be anxiously waiting to hear our voice; ready to forgive us and sweep us into His loving arms. Hence, it is easy to see that the primary purpose and theme during these 40 days is teshuvah (repentance). We are sinners in need of redemption; we throw ourselves on the mercy of the gracious King and grab hold of His salvation (Yeshua). This way, when our yearly appointed time (moed) to meet our maker arrives, we have prepared ourselves for His coming. We submit ourselves before our King and right any wrongs to our fellowman and our Father. Both play dominate roles in Elul’s activities. Maybe you think that you have no need of repenting; you believe you have no sin. If so, I urge you to use this time to humble yourself, search your heart, and ask the Father to reveal any hidden sin in your life. There are several customs that are designed to assist us in our humbling process and to lead us to teshuvah (repentance). 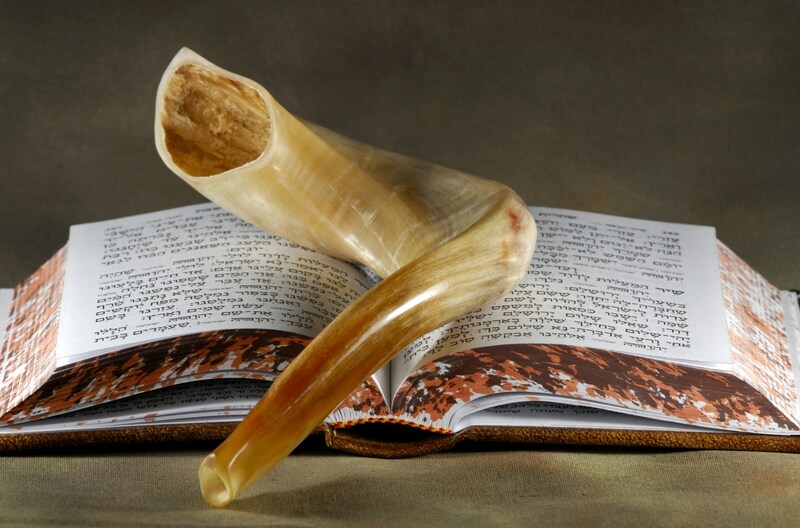 In Jewish synagogues and transversely in Torah observant believer’s homes, the shofar (ram’s horn) is blown and heard as a call to repentance throughout the forty days of repentance. The shofar confuses HaSatan (the enemy), the prince and power of the air. When we blow the shofar, we release into the air (the enemy’s kingdom) a likeness of the voice of Yah. This causes the enemy to scatter and confuses his camp. Likewise, it causes the faithful to come to repentance, calls us to battle, calls us to assemble, and will one day call us to resurrection! “… The first three verses increase numerically: two parallel phrases of five [Hebrew]words each, then six, then seven (that number hinting at completion). There follows the central word of the psalm, One. Facing all these threats, the psalmist feels the peace of unity, and throughout this first half the reader senses no doubt, no real threat. Throughout the second half, the reader hears the echo of the central term: One. The psalmist cries out, demands, asks and pleads that his two worlds are one. I, the sufferer, depressed to the ultimate limits, am that same one who trusts, who is safe, who sits in the presence of the Lord. Before we can approach repentance or the joy of the Holiday [fall feasts], we must honestly confront again our own faith and belief. Ever since our father Abraham, we have anticipated the rewards of God’s protection, but too often we have seen our trials and tribulations as challenges to our faith. The psalmist testifies once again that love of the Holy One is achieved, not by closing one’s eyes, but, even as with less significance loves, through effort, honesty, and open confrontation. We can each find ourselves in David’s shoes and cry out this Psalm to our Maker. After meditating on these words day and night for forty days, one cannot help but find hope in our seemingly paradoxical human condition. On the one hand, we trust YHWH with complete confidence in faith, but on the other hand we have another side at war with our faith. Our sin and/or the trials of life causes doubt to well up and threatens to overtake us. We cry out to Yah and plead that He hear our cry and never leave our side. In the end, we must realize that like David, we must take courage, look to, and wait upon YHWH. Aren’t these the very thoughts of the Apostle Paul? Rom. 7:19-25 For the good that I want, I do not do, but I practice the very evil that I do not want. (20) But if I am doing the very thing I do not want, I am no longer the one doing it, but sin which dwells in me. (21) I find then the principle that evil is present in me, the one who wants to do good. (22) For I joyfully concur with the law of God in the inner man, (23) but I see a different law in the members of my body, waging war against the law of my mind and making me a prisoner of the law of sin which is in my members. (24) Wretched man that I am! Who will set me free from the body of this death? (25) Thanks be to God through Jesus Christ our Lord! So then, on the one hand I myself with my mind am serving the law of God, but on the other, with my flesh the law of sin. This is what Elul and the forty days of repentance are all about. It is our preparation. Searching the depths of our own hearts and confronting the battle in our minds between our spirits and flesh, naturally brings us to repentance and thus prepared to boldly stand in our King’s presence at the moedim (appointed times/feasts). Another primary custom is to rise early and recite the Selichot, a series of penitential prayers and liturgy, up until Yom Teruah (Feast of Trumpets). Because YHWH showed favor to the children of Israel during this time (forgiving them of the sin of the golden calf) then, it is considered a favored time, and one in which our prayers are readily listened to and answered. We therefore say Selichot during this time, asking the Father for forgiveness and to find favor with us, so we can start the coming fall Holy Days in confidence. The Selichot prayers are based on Moses’ 3rd trip up onto Mt. Sinai when YHWH revealed His primary characteristics, it has hints of Psalm 27, and tenderly refers to the Father as “Beloved” as in Song of Songs 6:3. We look to YHWH, for He is our salvation (Yeshua) and our Beloved. The following is a sample of the Selichot prayers. May You forgive our iniquities and our errors and make us Your heritage. Forgive us, our Father, for we have erred; pardon us, our King, for we have willfully sinned; for You, my Adonai, are good and forgiving and abundantly kind to all who call upon You. Let us lift our hearts with our hands to God in heaven. Let the groan of the prisoner come before You, as befits the greatness of Your power, release those condemned to die. To Yahweh our Elohim belong compassion and forgiveness, for we have rebelled against Him. As a Father has mercy on his children, so YHWH, may You have mercy on us. Salvation (Yeshua) is YHWH’s, upon Your people is Your blessing. Selah. YHWH, Master of Legions, is with us, a stronghold for us is the God of Jacob, Selah. Yahweh, Master of Legions, praiseworthy is the person who trusts in You. YHWH, save (Yeshua)! May the King answer us on the day that we call. O Elohim, You are known in Israel to be great. You are YHWH, our Father are You. Whenever we call upon You, draw us close; You are exalted and uplifted among us. You have done us favors despite our guilt, not because of our righteousness and the uprightness of our heart. Our Beloved, though we have been forsaken, redeem us for we are servants. Our sins have brought us to the point of disintegration; our soul is impatiently awaiting You. Where are Your earlier kindnesses with us—that were faithful forever and ever? We have borne anger and our strength has ebbed— O Elohim, do not rebuke us in Your anger. Forgive, though our sins testify against us; help us, for we depend on You. Bend our stiff neck to be subservient to You, so that we can serve and honor You with love and reverence. Those who think of You have sanctified designated fasts, their awareness is too limited to request their needs. May their whispered prayer come to You, heal every person’s wound and pain. The voice of Jacob moans from Your depths, may You hear in heaven the abode of Your dwelling. We have become guilty; we have betrayed; we have robbed; we have spoken slander; we have caused perversion; we have caused wickedness; we have sinned willfully; we have extorted; we have accused falsely; we have given evil counsel; we have been deceitful; we have scorned; we have rebelled; we have provoked; we have turned away; we have been perverse; we have acted wantonly; we have persecuted; we have been obstinate; we have been wicked; we have corrupted; we have been abominable; we have strayed; You have let us go astray. We have turned from Your commandments and from Your good laws but to no avail. Yet You are righteous in all that has come upon us, for You have acted truthfully while we have caused wickedness. Inspire our heart to abandon the path of evil and hasten salvation (Yeshua) for us, as it is written by Your prophet: May the wicked one abandon his way and the vicious man his thoughts; may he return to Yahweh and He will show him mercy, and to our God, for He is abundantly forgiving. Answer us, YHWH, answer us; answer us, our Elohim, answer us, our Father, answer us, our Creator, answer us; answer us, our Redeemer, answer us; answer us, You who searches us out, answer us; answer us, the faithful God, answer us; answer us… The merciful One Who answers the poor, may He answer us. The Merciful One who answers the brokenhearted, may He answer us. The Merciful One who answers the humble of spirit, may He answer us. O Merciful One, answer us. O merciful One, pity. O Merciful One, redeem. O merciful One, deliver. O Merciful One, have mercy on us—now, swiftly and soon. While these prayers are an excerpt from a Sephardi siddur, and they don’t believe Yeshua is the Messiah, it is obvious to me that they know YHWH is the only Savior and that there is no sacrifice in the sacrificial system for willful sin. Willful sin requires us to throw ourselves on the mercies of G-d. We can only find hope in His precious grace. This concept isn’t “new” to the Brit Chadashah (New Testament), it is a truth that runs from Genesis to Revelation. Therefore, may we also seek the Father on behalf of our Jewish brethren in this season to see YHWH’s salvation (Yeshua). These prayers are very lengthy (as what is offered here is a small tidbit) and cover more areas of repentance than any one of us could recall in one sitting. How many believers do you know that diligently seek the Father with such devotion and detail on a regular basis? These prayers aren’t “vain repetition” as some falsely accuse. Rather they are designed to aid us, to keep us focused, to keep our minds from wandering, to help us remember, and to help us repent. We must not forget that YHWH is King and deserves reverence and respect. Many would go through extensive preparation to meet the president of the United States; learning proper ways to greet him, practicing proper etiquette in all areas of speech, dress, and manners. They would rearrange their schedules and obligations in order to have such an honored meeting. How much more should we prepare to meet the King of Kings! The selichot prayers are one tool to help us in our endeavor. 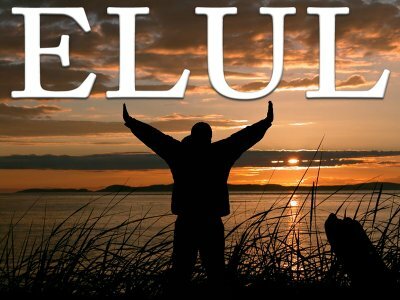 The four letters of the name Elul are an acronym for the initial letters of the phrase in the Song of Songs (6:3): “I am to my beloved and my beloved is to me.” “I am to my beloved” in repentance and complete desire to return to YHWH. “And my beloved is to me” with the Divine expression of grace found in His forgiveness. Ani l’dodi v’dodi li (I am my Beloved’s and my Beloved is mine), is a common phrase on wedding bands and other religious articles. If we are YHWH’s, then we are His bride. He desires an intimate relationship with us; one as familiar as a man and wife. When we sin, we are breaking our wedding vows (covenant) to our husband. The penalty should be death, but our husband is merciful, praise YHWH! He bore our punishment for us on the tree. This is the most merciful act in the history of the world! We would be hopeless without His sacrifice. The Word became flesh and dwelt among us, and offered Himself for us—-His Beloved! He didn’t do this to give us new wedding vows, but to renew the one’s we broke. His vows (commandments) were perfect the first time around. The problem wasn’t with the vows, but with us—-our hearts. He promises to give us new hearts; hearts with the vows (Torah) written upon them. As we seek Him during the days of Elul, may we never forget that He is our King and we shall treat Him as such—-with great fear and reverence, but He is also our Husband, our kinsmen Redeemer, and our Savior. He loves us fervently and desires us to return (repent) to Him and spend eternity in His arms. Blow the shofar daily, or at least hear a recording of the shofar blast online. Read Ps. 27 every morning and every night. These prayers are also used for days of fasting, which many Jews and Torah keepers do often, even weekly. One question… Have you recently changed the background to your blog, or am I just noticing how hard it is for me to read the black letters against the brownish background? Help. Thanks, Pete. I haven’t changed the background. Hmm. The background looks like a very light sepia on my end. I’ll ask some other viewers if they are having the same problem. I hope not! 🙂 Thanks for pointing that out. Maybe it is a setting on my end that changed… Maybe my eyes are suddenly showing a little age… I ended up using the mouse to highlight large passages and read on the white background… LOL! I’ve mentioned that we are in the Month of Elul when the “King is in the Field” – a time of repentance leading up to the Fall Moedim. This is a wonderful teaching that explains this time in detail that I think will be of great help to you! Shalom!